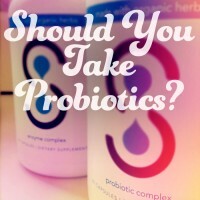 You Are Here: Home » Uncategorized » Should You Take Probiotics? You’ve probably noticed quite a few new products on the shelves with a label boasting that they contain probiotics. Right now, these ‘good’ bacteria are being hailed as nutritional rock stars. The claim: They can whisk you toward wellness. But as beneficial as these probiotics may seem, our enthusiasm for them may be outpacing the science showing what they can actually do. Before you put down your hard earned money, here’s what you need to know. To make sense of how probiotics work, you’ll need to understand a few details about your stomach and digestive tract. There are more than a trillion bacteria in your digestive tract. And that’s a very good thing, Since, most of these bacteria are ‘friendly’ and do not cause any diseases or symptoms; they take nutrients from your food and help your immunity by crowding out ‘unfriendly’ bacteria that cause symptoms and disease. Even though most adult’s digestive tracts are dominated by a few common bacteria strains, scientists suspect that each person can have more than 500 different kinds. Your own gut bacteria are like a fingerprint; no two people’s are the same. Despite the differences, scientists know that these bacteria exist in harmony, helping to maintain a healthy digestive system. But this digestive party is crashed by stressors, illnesses, and antibiotic use (which treats infections by killing off both the good and bad bacteria indiscriminately). That’s why some experts believe that by consuming probiotics, either in food or supplement form, can help improve or maintain your health. Since they’re similar to the good bacteria that are already living in your stomach, you’ll evict your digestive system’s unwanted guests, which may help depression, help with weight loss, and reduce the symptoms of some illnesses. Scientists believe that probiotics have some pretty huge health potential. But, we’re still only scratching the surface of understanding probiotics. Since people’s gut flora are so different, it’s difficult to determine which ones are healthy. And most of the probiotic research has been done only in a laboratory, as far as what they do in each person’s digestive system, that’s another hurdle. So should you take probiotics? Maybe. For starters, they are found in many healthy foods, like yogurt, kefir and kimchi. You can also consider taking your probiotics in pill form. Another way to improve your gut health is by eating more produce, which may help the probiotics already inside your body to flourish. These bacteria have evolved to break down fruit and vegetable fibers and use them as fuel. Try to get 5 servings a day, and vary the kinds and colors of produce you eat. According to one study, a ‘healthier’ gut contained a more diverse number of bacteria species than an ‘unhealthier’ one. By expanding your diet to include a more diverse amount of whole foods, you’ll establish a diet plan that will improve more than just your stomach health, your whole body will benefit too. When it comes to a product’s quality, it’s a buyer-beware situation. But for some people, the pros may outweigh the cons. Follow these three tips to make a smart purchase. Not all probiotics are created equal. Different strains exert different effects on the body, so you should look for the one that’s helpful for your condition. Foe example, studies show that Lactobacillus rhamnosus GG can reduce the duration and severity of diarrhea caused by some viruses and antibiotics but Bifidobacterium infantis can help IBS-related diarrhea and constipation. Don’t be misled by an ‘at the time of manufacture’ label. Just because these organisms were alive when bottled doesn’t mean that they survived transportation and storage. A better bet is to look for a ‘best by’ date; companies that list one probably included more probiotics to compensate for some bugs dying off. Check for at least 1 billion colony forming units (CFU), and note the storage instructions; many require storage in a dry place, while others don’t. For people without digestive disorders, probiotic supplements might be a good option. But unless you have a specific digestive health problem, it’s hard for researchers to quantify their benefits. After all, a person who’s healthy at the beginning of a study will most likely still be healthy at the end.